Ever stopped to wonder if you’re doing what you’re doing because it’s what you did yesterday (and the day before that, and the day before THAT)? What percentage of the way you interact with the world is your conscious choice, rather than your programming? Scared To Reveal The True You? I read two articles that have had a massive impact on me. And I wondered - could they have a similar impact on you? I believe that these two articles outline a serious flaw in the thinking habits of many of us. 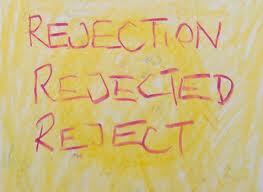 This thinking comes from a fear of being our true selves because of the possibility of rejection by others. I know you are busy and I am asking you more than maybe I should, but these are profoundly powerful insights that you should hear. The articles are Living In Alien Nation and My Representative. I resonate so much with what you are saying but it freaks me out - in a good and a bad way. Firstly, whatever I say following this sentence is NOT meant to be patronizing (THAT is my representative speaking for me). I have spent my whole life in this place. That is why your two articles hit me so hard. Firstly, you are in no way alone [Note from my Representative: Remember earlier caveat]. Regrettably, I see this in many people, including myself. Every one of us has them, and they are not always nefarious. For example: Am I going to feel better about myself? Gain something from this? Look good in someone’s eyes? Etc. You included. We are human. We need validation. What is f#%ked up is we don't look for our own validation first (or, we don't trust it). 2. Personal Dysfunction or Societal Dysfunction? It doesn't matter! You are self-aware enough to know the 'dysfunction' is there. That is evident. Whether you like it or not, it is up to you now. The door is already open. And yes, you are happy about it now, because it is the comfort of the known. It is the unknown that scares you. What we hate most is that they are good at their jobs. And that disgusts us. We have this twisted admiration for them and hate them at the same time. Why? Because the better our representative is, the less we are ourselves. The name of my representative is Keith. He currently has more entitlement to my name than I do because he has been stronger and more in control than I ever have up to now! Every time we feel we are being fake (and we know when this is) our representative gets stronger. Every time they get stronger we feel safer behind them. It is a downward spiral that the "I" needs to break before we become lost and end up inserting ourselves back fully into the Matrix. Sorry if the reference is too 'geeky,' but it is the most fitting I can find. I have never truly been able to trust anyone, because I can't trust myself. I know this. As you said, I know my own M.O. now. This is merely awareness, however. It truly has to translate into action before it becomes useful. And most action - I am coming to learn - takes risk. We do have to remember, though, that the Representative works for us. And we call the shots. What has happened with me is I have let the Representative become the leading entity. The creator of my identity. From now on, he’s allowed to advise, but I need to make the final decision on how he portrays me. And not how he portrays him. The threats we feel every day are part of our spiritual journey, and our growth. Or else they are just another way of giving unilateral power to our Representative. But it is up to us. 9. Is Our Representative Truly Representing Us? For some time the Gandhi quote, “One man cannot do right in one department of life whilst he is occupied in doing wrong in any other departments. Life is one indivisible whole” has kept coming into my head. This is where the 'representative' f#%ks us up! We get caught up in being good at what we are doing, rather than being good at who we are. Yes, our Representative can do stuff that we can't. But do we like what they are doing? Have we sanctioned it from the core of who we are? I think we all use dissociation as a defense mechanism. I don't believe that this is a bad thing in and of itself. There are times when it is critical to our survival through periods of serious trauma. It enables us to get through, function and survive. But if it becomes a habit, and distances us too far from who we truly are, then I think we are more dangerous with our representatives than we are without them. Every heinous act in the world by a human being - I believe - is founded on the strength of that dissociation. It is a way of finding validation in something other than ourselves that gives us some kind of respite from our own fears. From our own self-doubts and self-recriminations. There are many religions that talk of the illusion of reality. And it is possible to adopt that perspective through periods of our life where it works for us. But I think the universe, the natural laws or way of things has a way of bringing us constantly back to ourselves. We cannot avoid ourselves. We have to be faced. And we have to embrace our dark side as well as our good. We have to accept the whole. Only on that acceptance, of the good and bad in us, can we see what really is illusory in our lives. I thought long and hard about whether to start blogging under my real name, or to go anonymous, or use a pseudonym. In the end, I chose to come clean. This in no way is a judgment on you (and I understand your personal reasons for this). I decided to take the risk and crawl out of my cage (against the advice of my representative). In fact, this comment is probably more soul-baring than any of my posts so far (and I can hear my representative screaming in protest). But, if I am to let go, and to be me, then I need to push the boundaries. To shake things up (as Vishnu says). "What it tells me is that ‘I’ feel soooo unsafe in the world that ‘I’ can't bear to show up." I don't know about you, but I am tired of this. Are you with me? Thank you for a deeply personally inspiring couple of posts (that is ME speaking). So, there you go. This article started out as a comment that has actually turned into a guest post. Some questions for you now: Do you show up? Do you have a Representative running the show? Where are YOU in all of this? And how is that working for you? Thanks for this thoughtful post and for examining the role of the personal representative in your life. Makes perfect sense, and the word you used, "authentic", pretty much captures it.